Discounts calculated automatically on multi-day rentals. e.g. 3-day rental for the price of 2 days, and 7-day rentals for the price of 3 days. 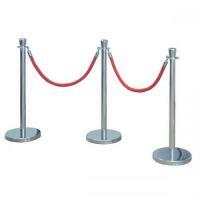 Chrome posts with weighted bases and Red 1.5m long luxury ropes to restrict access. Starting From € 22.50 per sq.m/day. Min 2 sq.m. 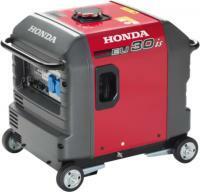 Generator Diesel 50KVA Very hi spec and Ultra silent. These generators are replacing all the Denyo generators used in the event industry in the UK. Delivery is 150€ not included in free delivery. 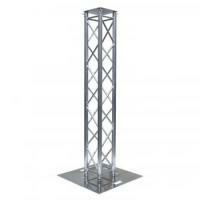 A Global Truss goal post measuring 3 m wide by 3m high perfect for hanging lights or a mirror ball over a DJ booth. Helium for filling balloons, sold by the bottle (one-time cost). 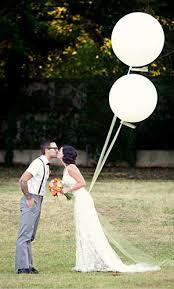 Comes with balloon inflator. 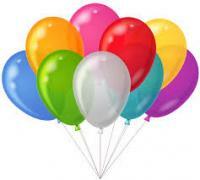 Helium for 11" balloons priced at 50€ per 25 balloons (one-time cost). That is 2€ per balloon fill. LOVE sign letters 2m high, can be illuminated with 4 LED par cans any colour. Pool Deck 5.5m wide and strong enough for a group of people dancing. 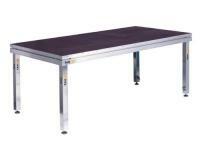 Different widths possible up to 4m. 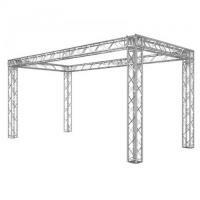 Sico Mobile stage comes in 8' x 6' and 8' x 3' sizes either 12' or 18' off the ground. 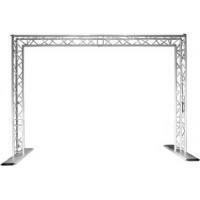 Truss Sleeves - Black or white spandex/lycra type cloth that goes over truss. White sleeves can be lit with a par can inside to make any colour.